A chaque fois que je viens à Wellington je m'arrête au Dwellinton. Pour avoir visité pas mal d'auberges elle est de loin la meilleure. Probablement le meilleur hostel que j'ai fais jusqu'a present! Le staff est au top, tout est propre et la cuisine est merveilleuse !! Je recommande vivement ! Great and very nice front staff! Very clean and breakfast was quite appreciated. Good value for money. A bit noisy when people are coming and going from their rooms. The best hostel ever ! It s so clean, nice, they gave me free towel, you have free hairdryer, breakfast (even soy milk !!!). I was so amazed by the quality at this price. 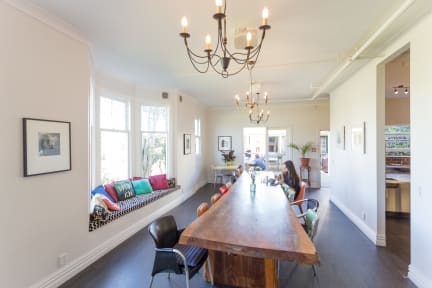 It looks more like a good hôtel than a backpacker hostel. And the staff is so nice ! I regret so much i stayed only one night. Definitely will recommend it. The Dwellington is a great place to stay !! We felt just like home !! It's clean and calm so perfect to take some rest. Bonus for the breakfast every morning and brunch on Sunday !! Meilleur auberge de Wellington sans hésitation !! Super auberge vraiment belle et très confort. Personnel très sympa qui ne manque pas de rendre service et conseiller . Great hostel. However a lot of long term host, who stay a lot all together. 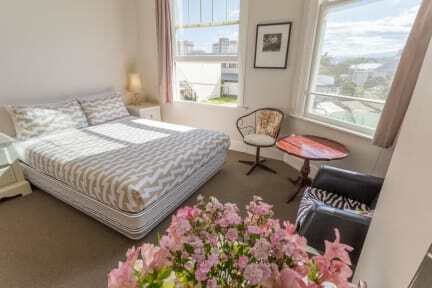 Far away from city centre... might not be the best choice when in wellington only for 1-2 nights to visit the city.